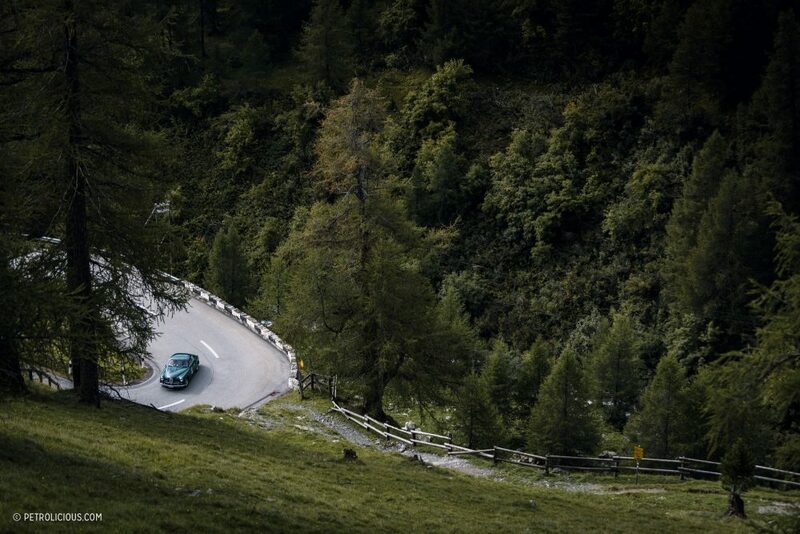 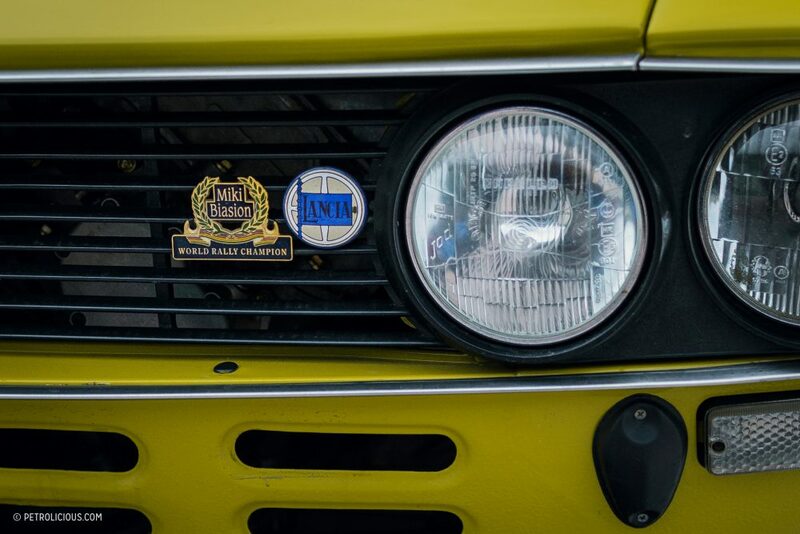 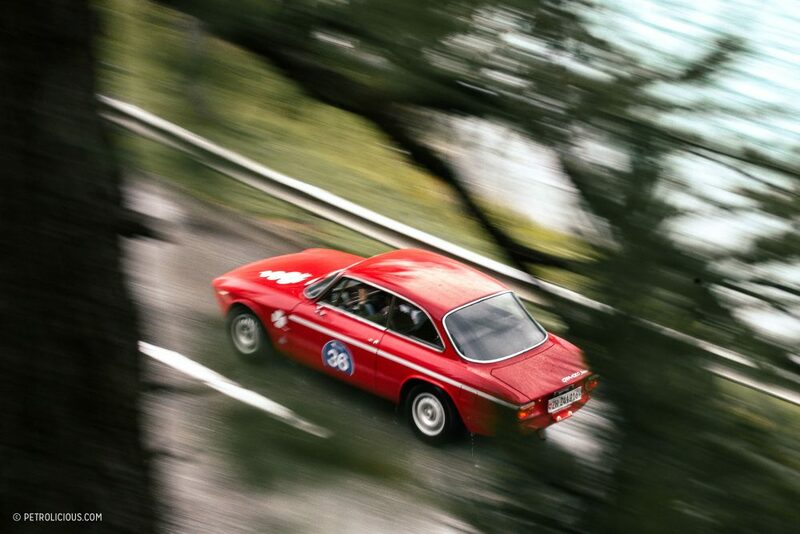 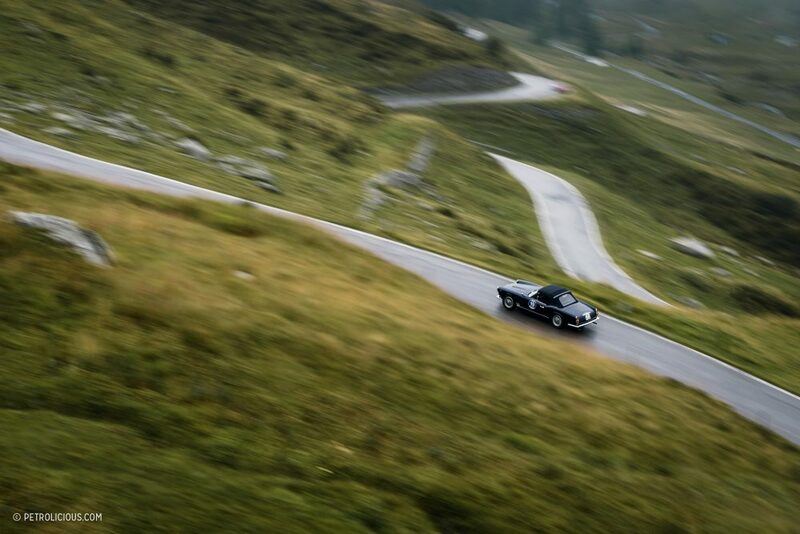 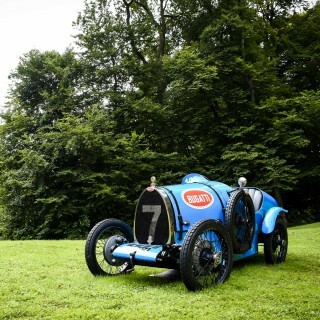 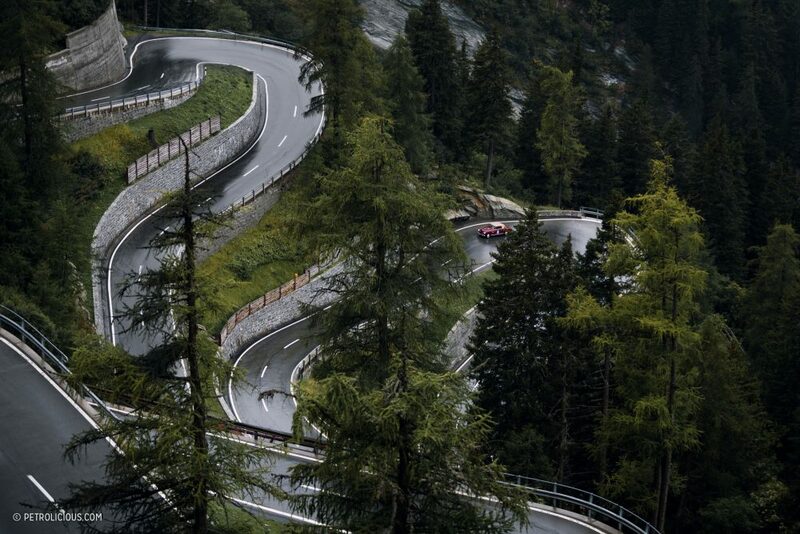 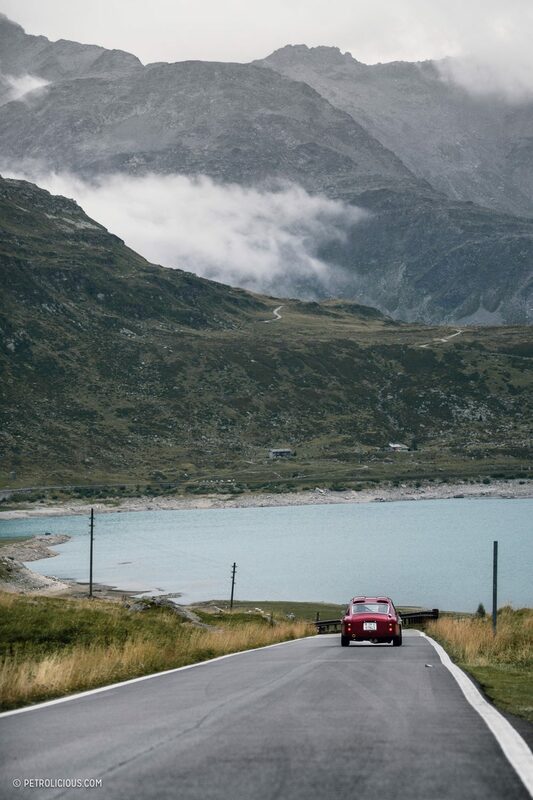 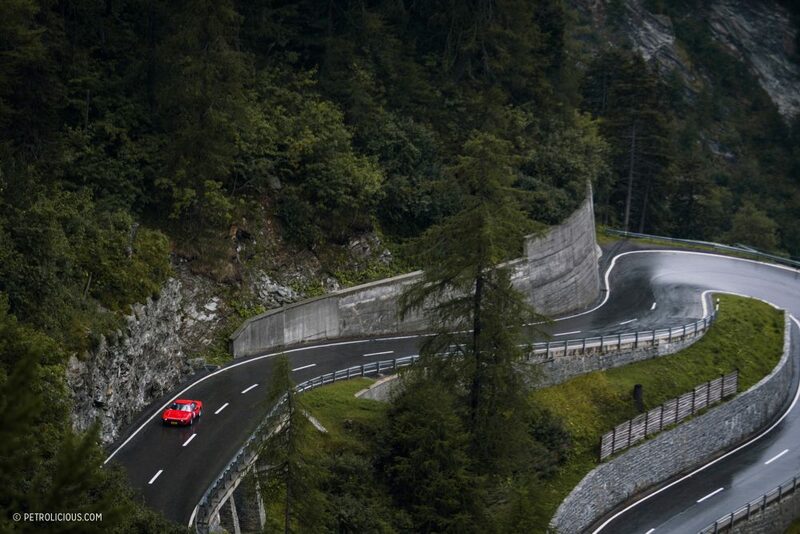 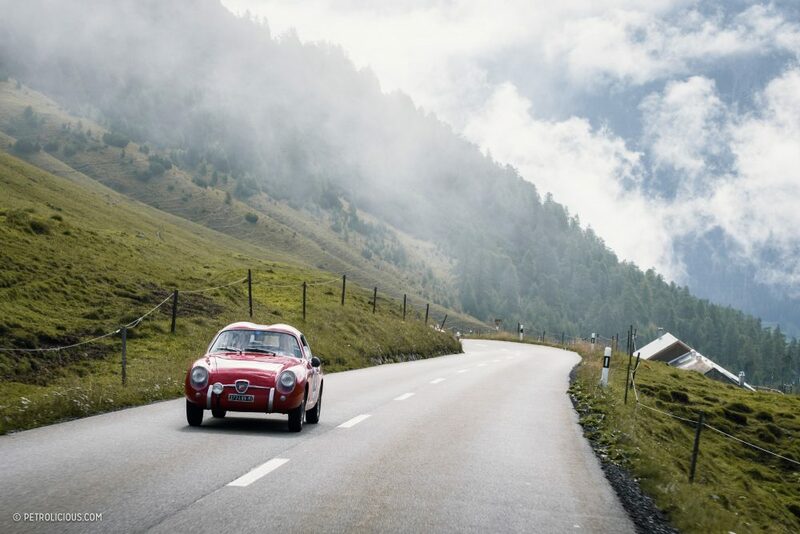 The Engadine Valley in Switzerland is no stranger to fans of alpine motoring. 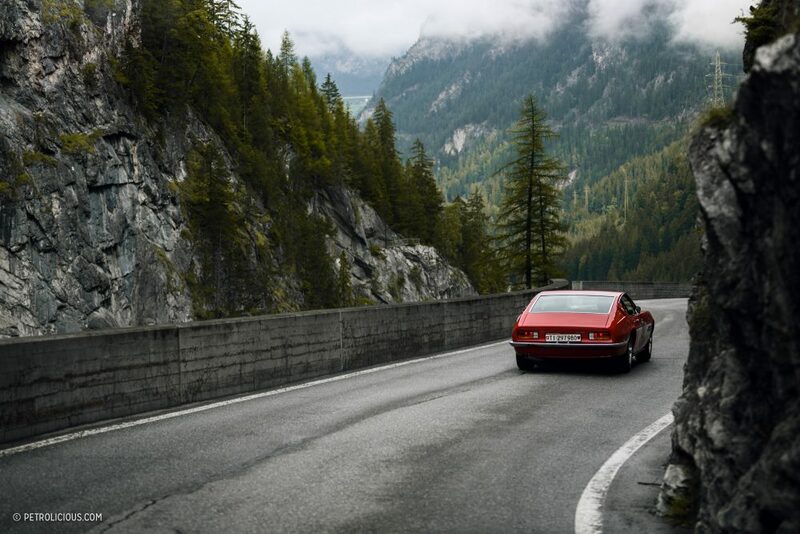 With its breathtaking landscapes and endless curls of asphalt, it’s truly a driving el dorado. 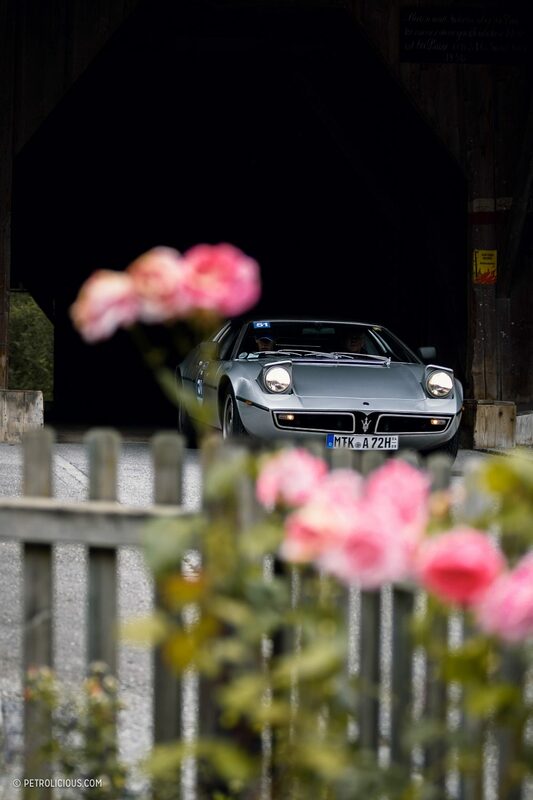 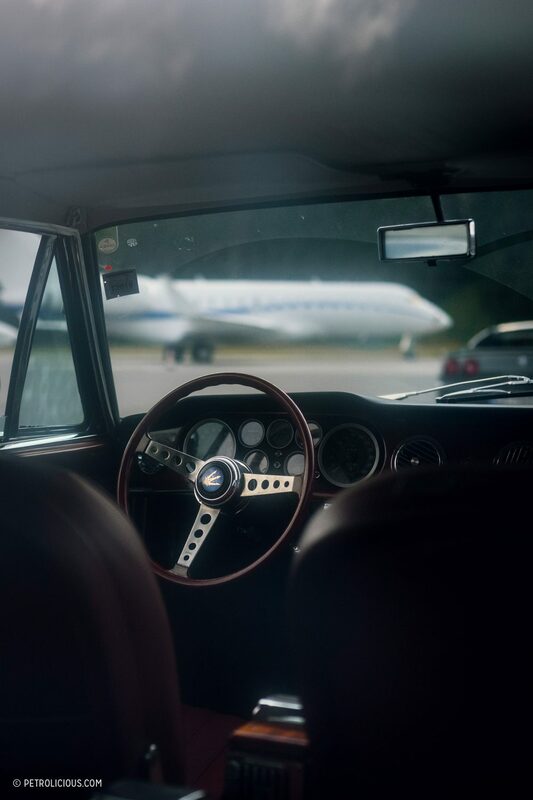 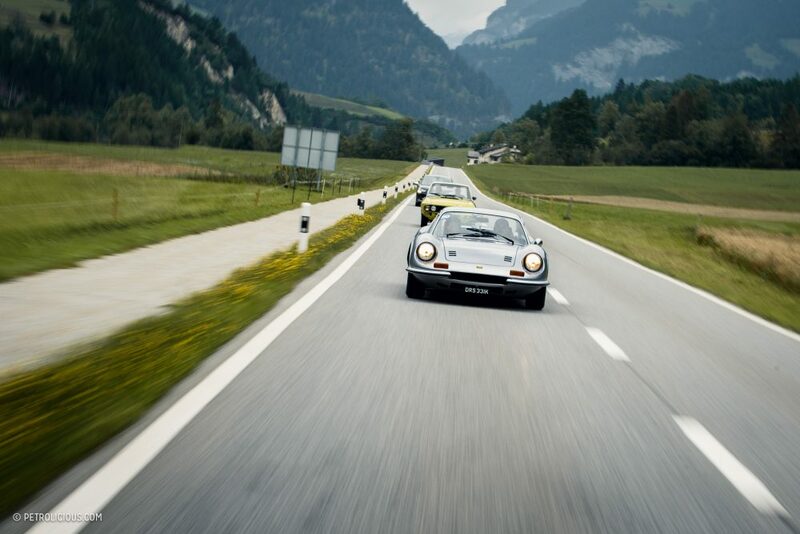 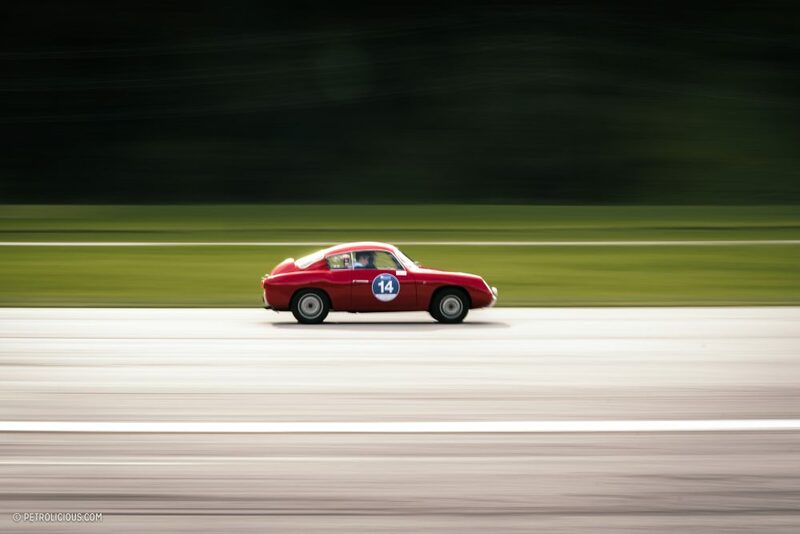 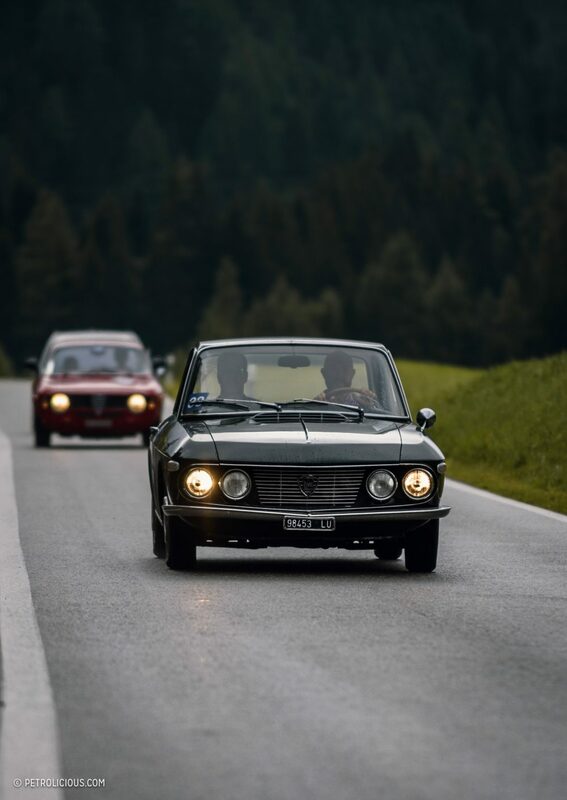 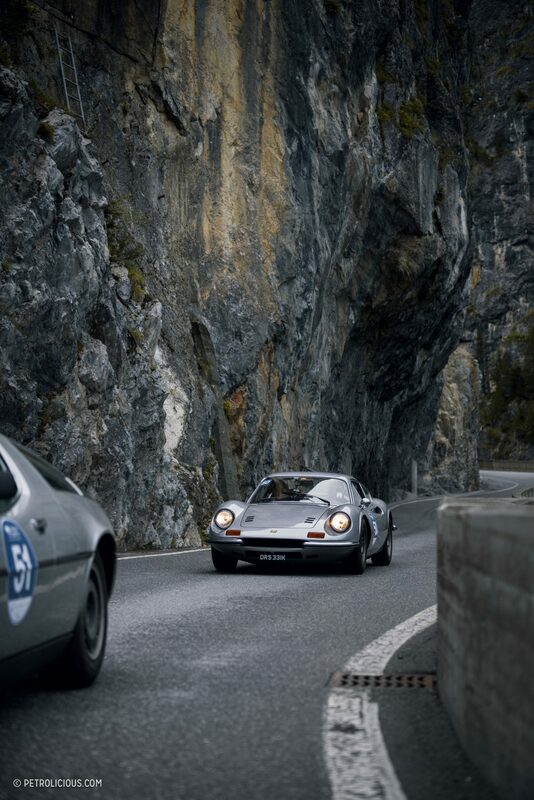 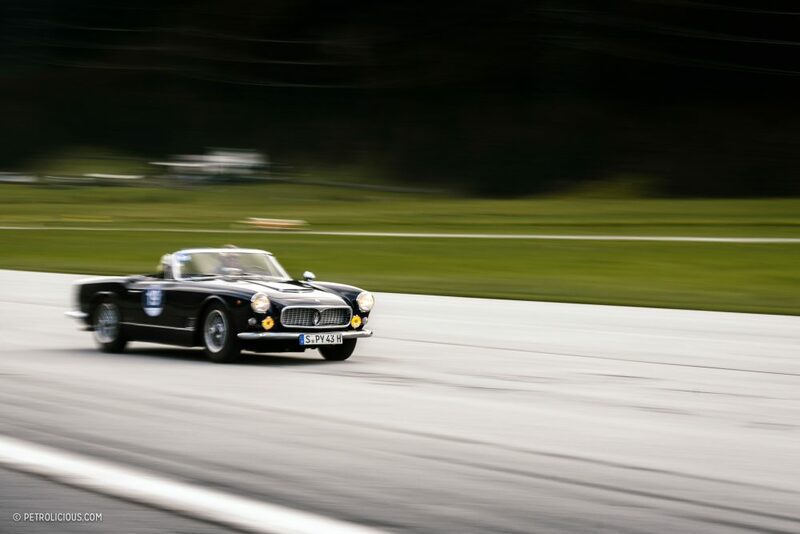 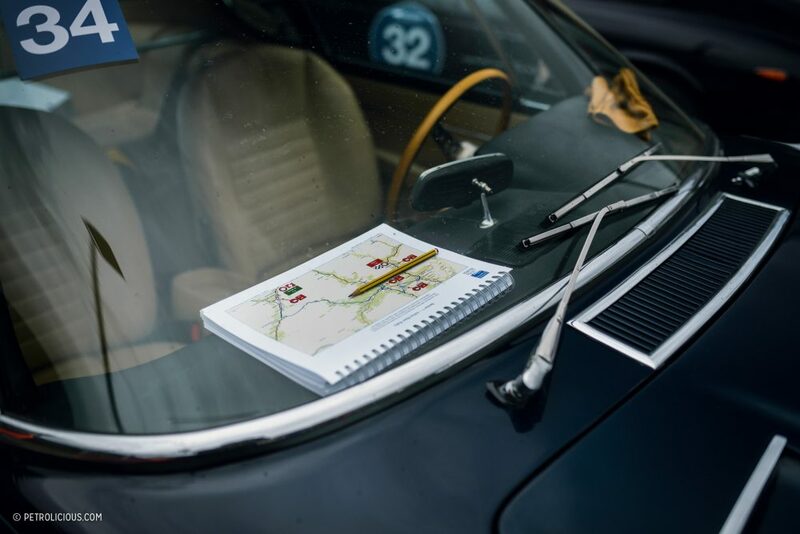 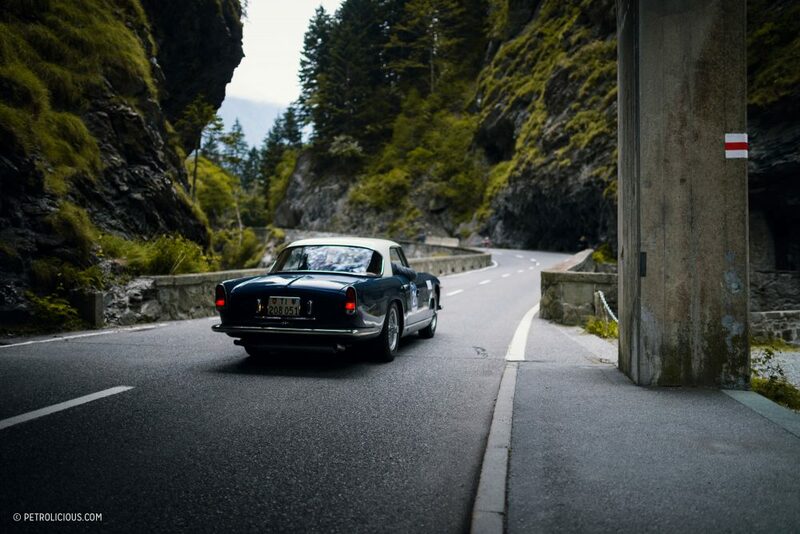 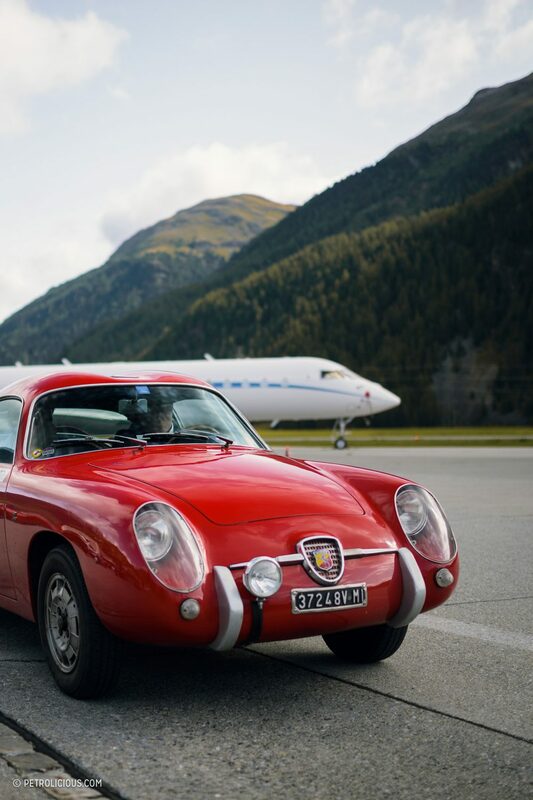 Add the glamorous town of St.Moritz and its first-class hospitality offerings and you’d have a hard time finding a better playground for a vintage driving event. 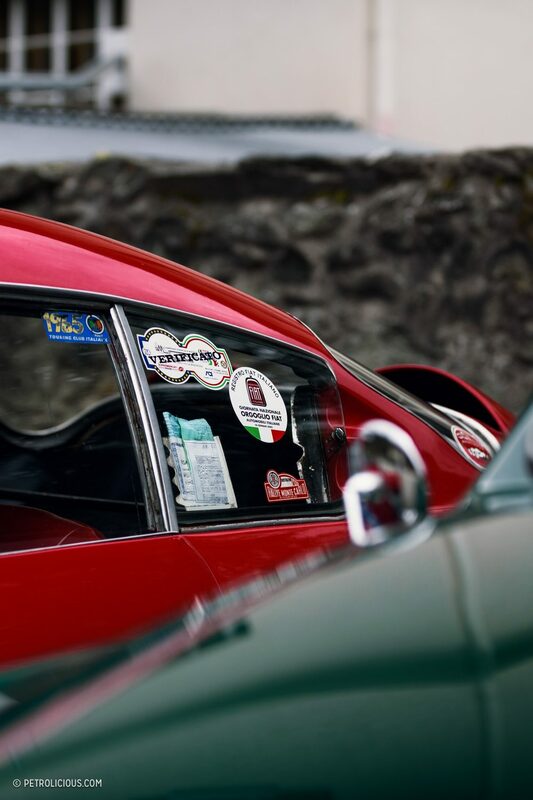 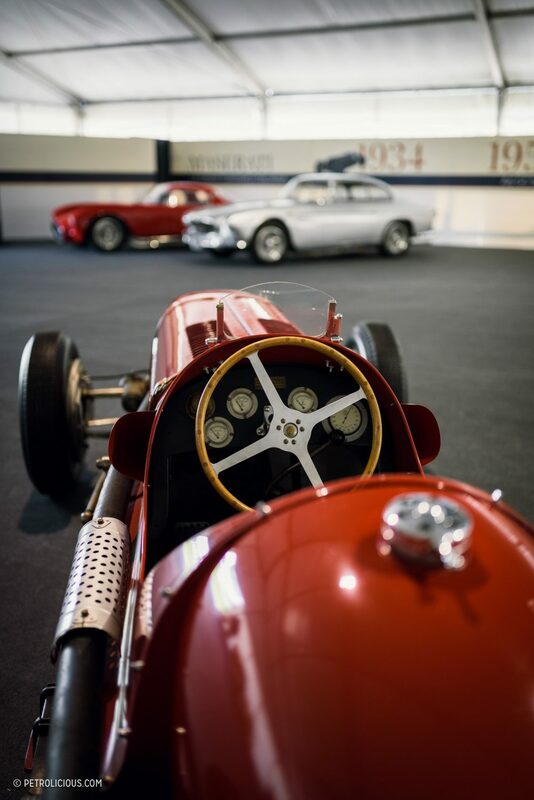 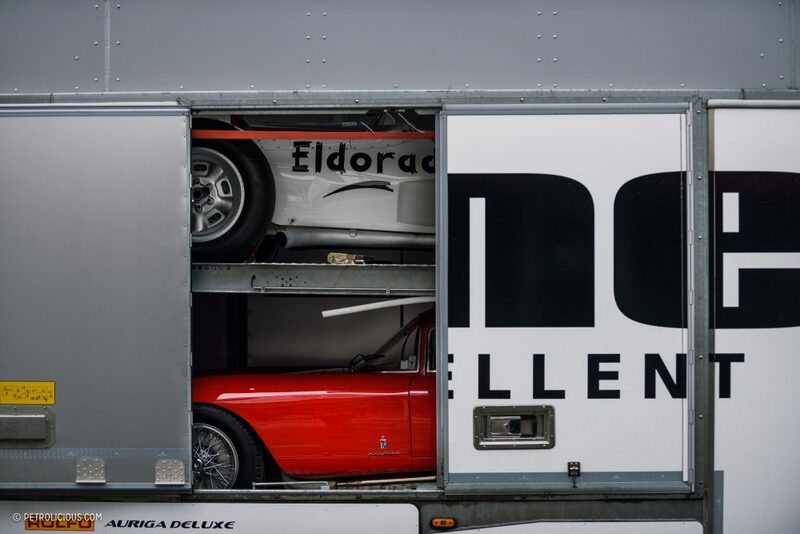 Someone who has been able to blend all of these elements in a wonderful package is Paolo “Paolone” Spalluto, the creator of a three-day celebration of Italian cars called Passione Engadina. 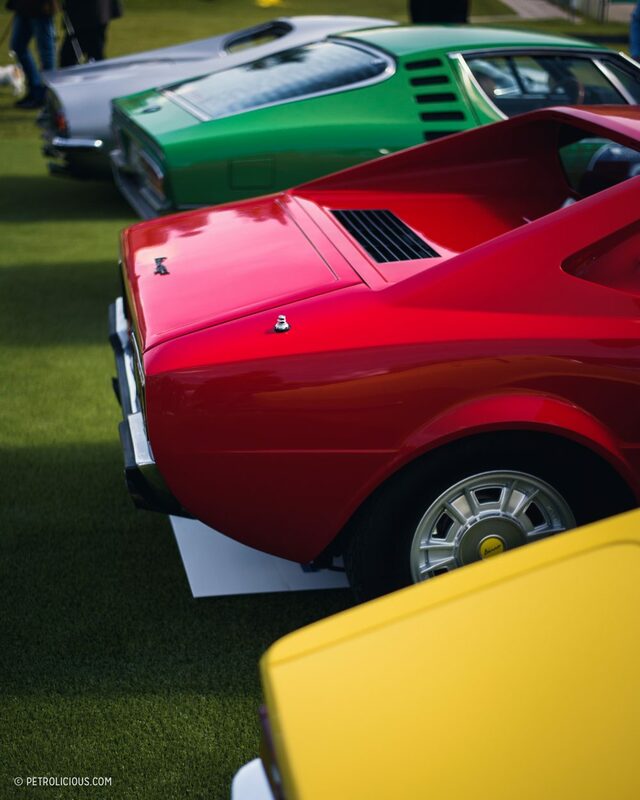 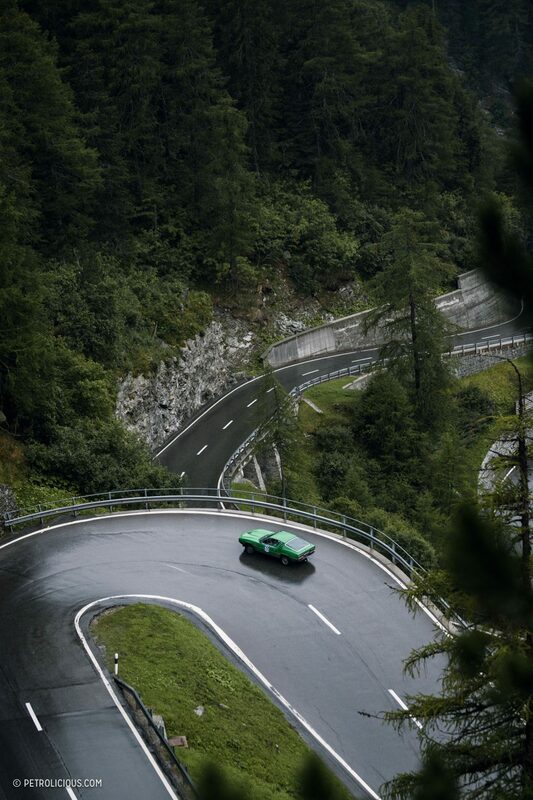 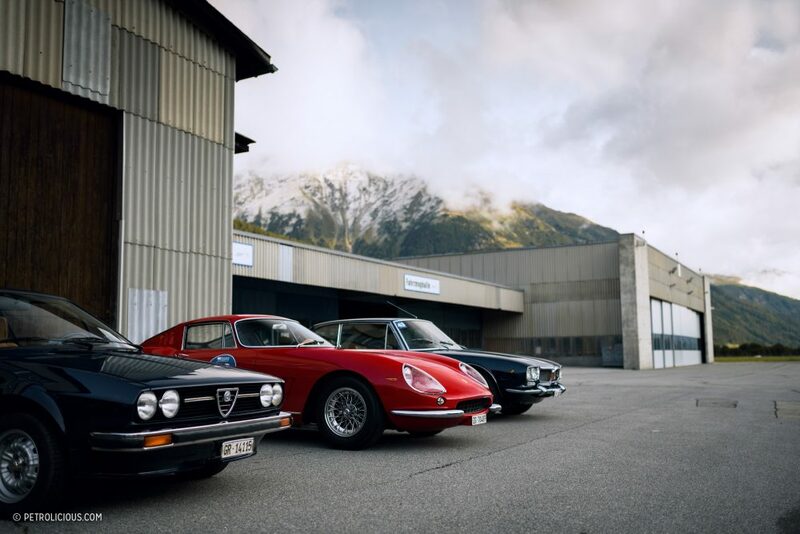 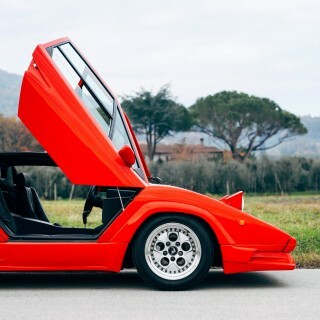 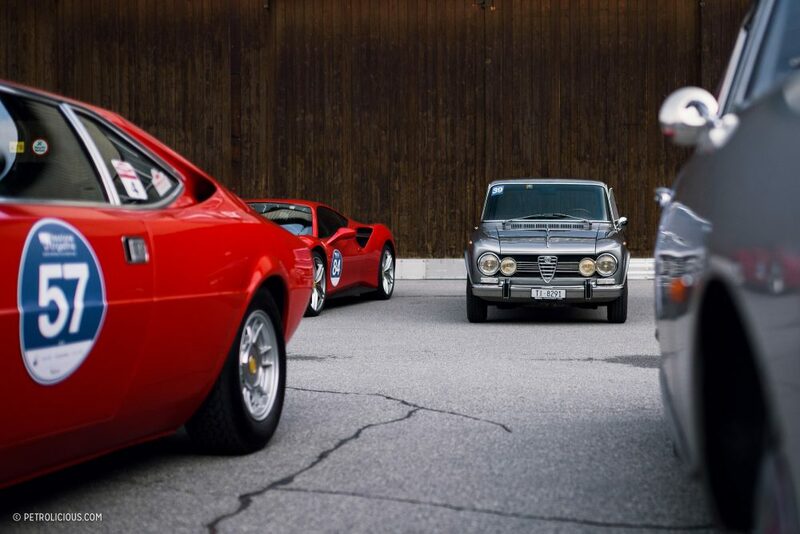 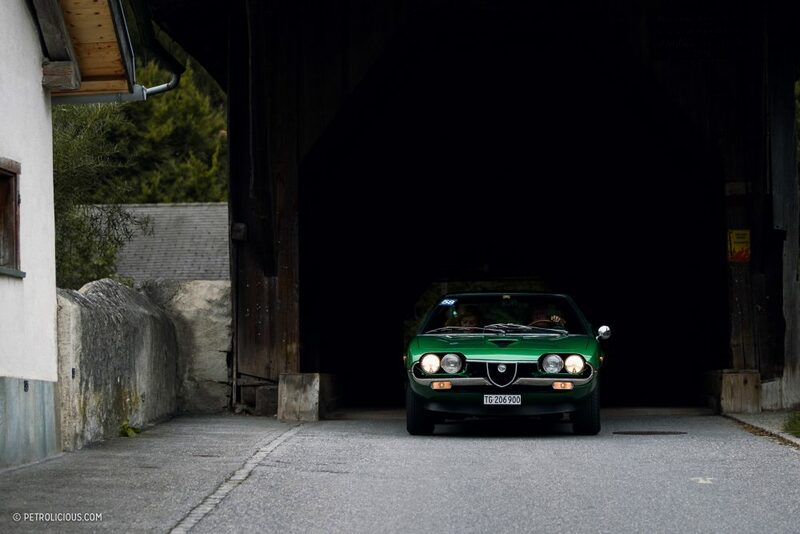 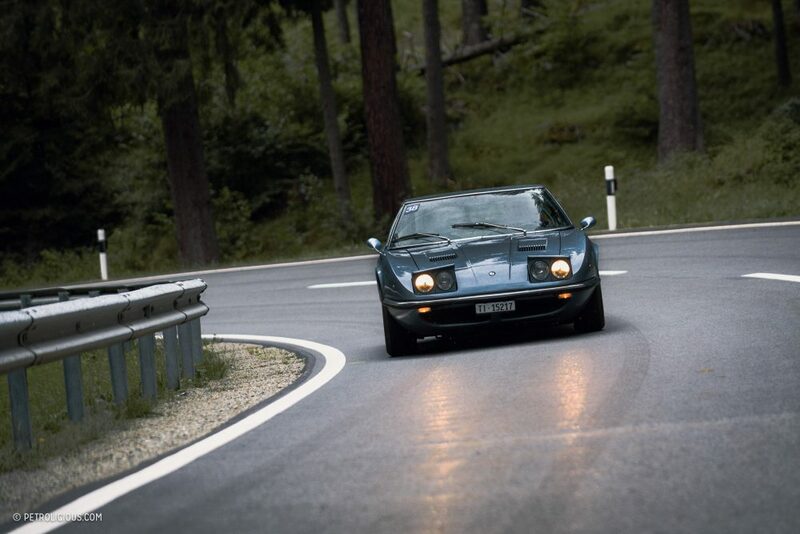 For the 7th time, at the end of August, he called all owners and lovers of Italian classics (up to 1980 anyway), and many answered: nearly one hundred teams signed up and brought their Ferraris, Alfa Romeos, Lancias, Lamborghinis, Fiats, and Abarths to the Swiss Valley. 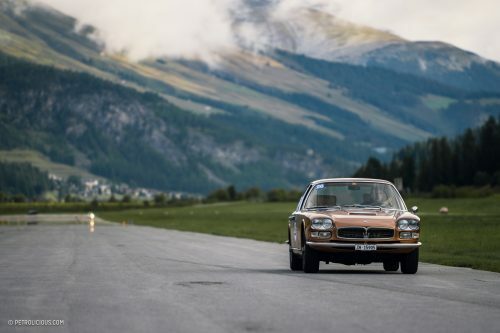 A special status was reserved for Maserati, and this year’s edition was dedicated to the marque’s 60th anniversary and therefore many Ghiblis, Meraks, Indys, and 3500 GTs could be found in the starting field. 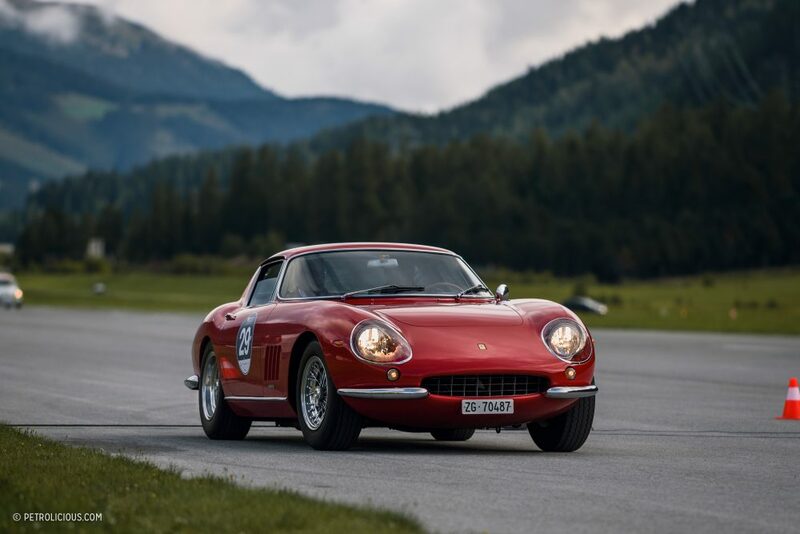 The driving part of the event was split in two days: the Julius Bär Rallye on Saturday, and the St.Moritz Challenge on Sunday. 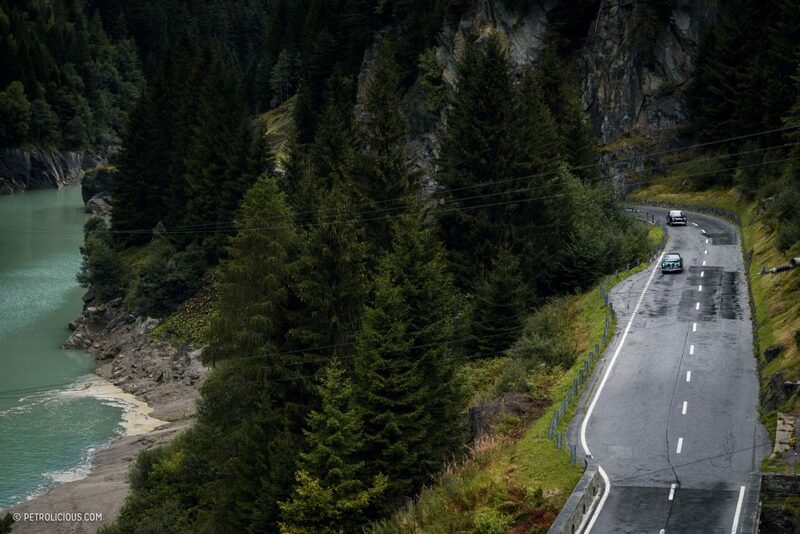 As I mentioned earlier and can’t reiterate enough, the Engadine Valley is the perfect gateway to an endless supply of stunning alpine roads, and for this year the route-planners chose a fine combination: the Albula, Splügen, and Maloja passes not only boast breathtaking views, but also challenging drives on narrow roads through beautiful scenes of nature dotted with quaint villages. 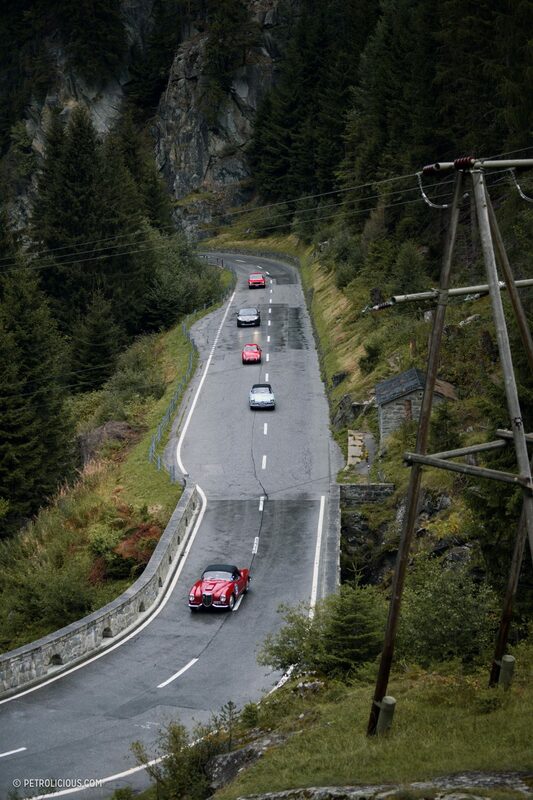 On a personal note, these are some of my favorite roads in the country (and anywhere else) and knowing them well came in handy when following the cars, as I remembered where to take shortcuts so I could meet the procession again after they had driven past me once—very helpful for a photographic assignment! 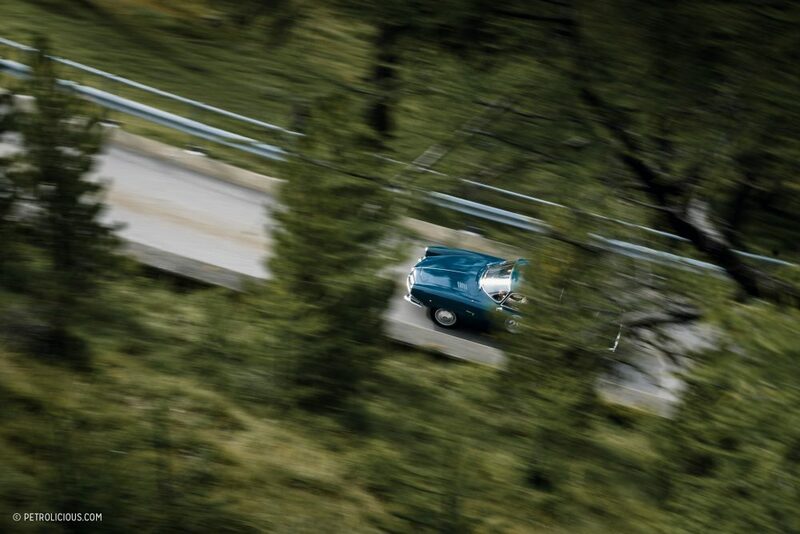 Among the drivers were some well-known names: two-time World Rally Champion Miki Biasion participated with his daughter and their extraordinary Lancia Fulvia Safari; Formula-E race-winner Jerome D’Ambrosio drove a unique 1954 Osca MT4 Sport; and the great Ermanno Cozza—who has been employed at Maserati for 60 years and still has an active role as consultant—piloted a gorgeous Maserati Ghibli SS. 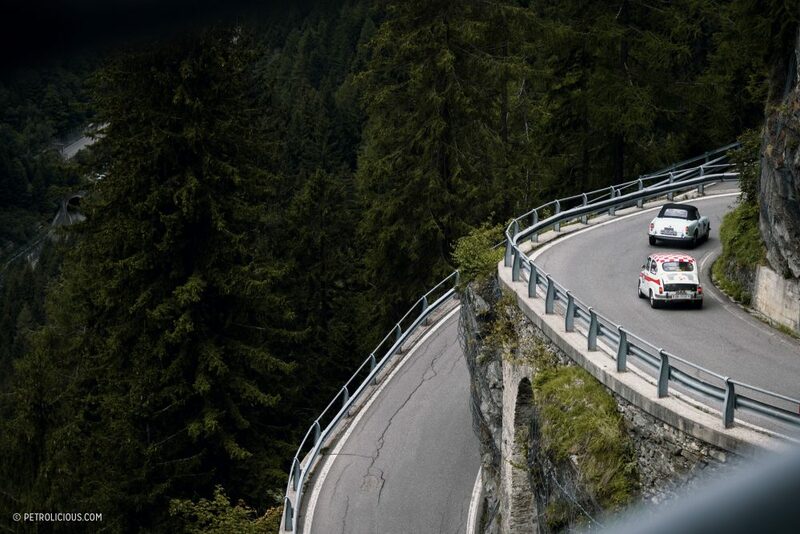 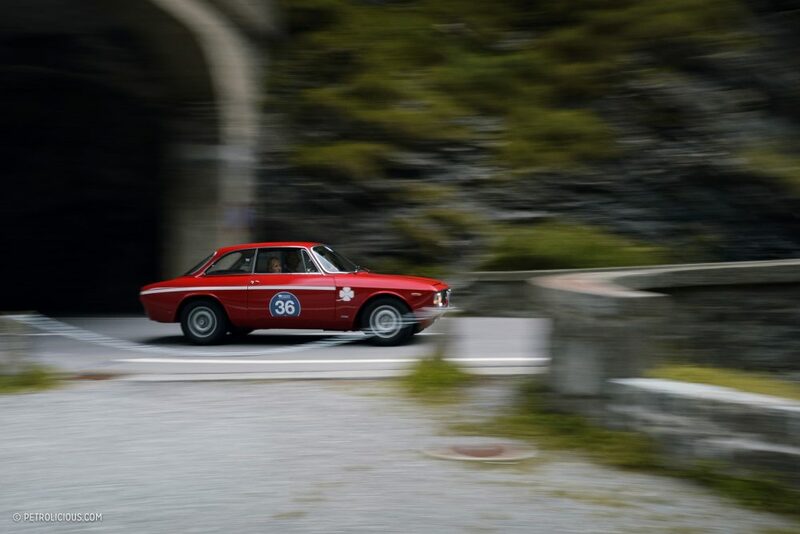 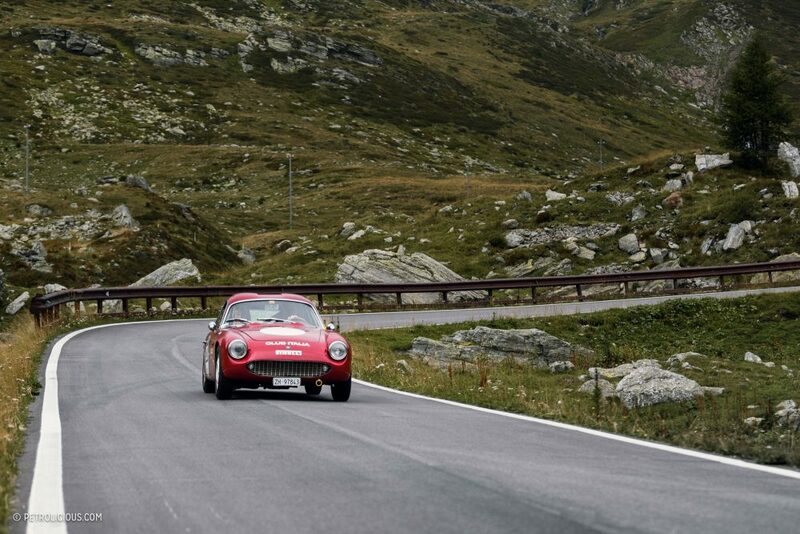 All teams had to tackle different regularity stages and navigate the correct route, and Ottaviano Checchi and Giovanna Franchi and their Alfa Romeo Giulietta Spider from 1960 did it a bit better than everybody else and won not only the Rallye on Saturday, but also the St.Moritz Challenge on Sunday. 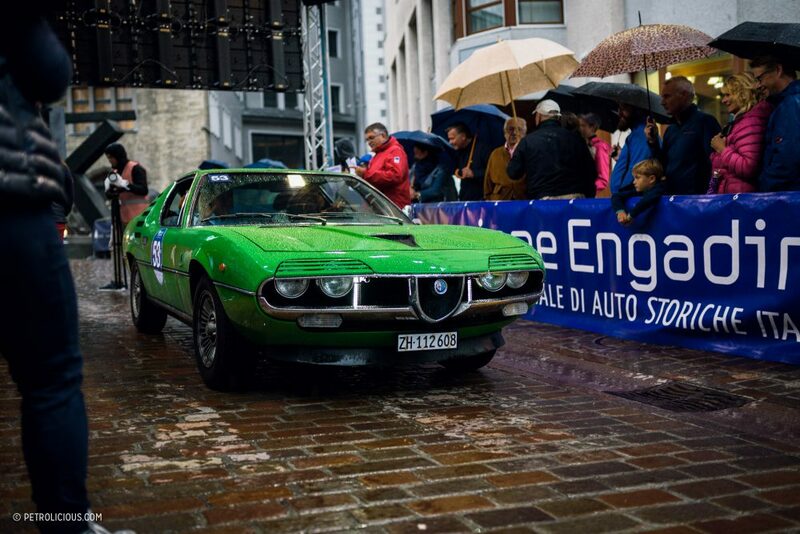 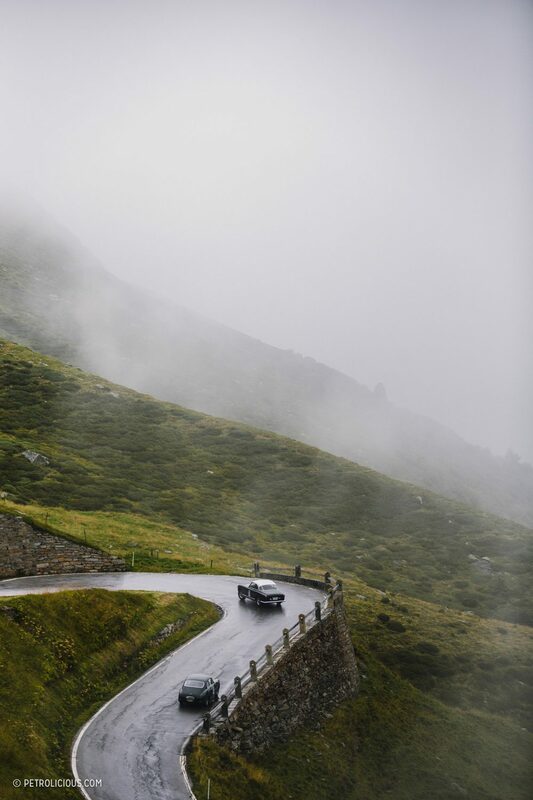 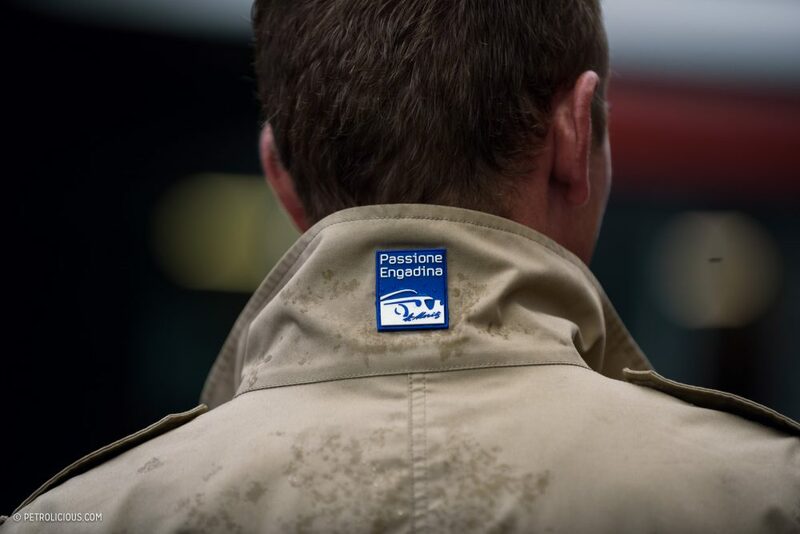 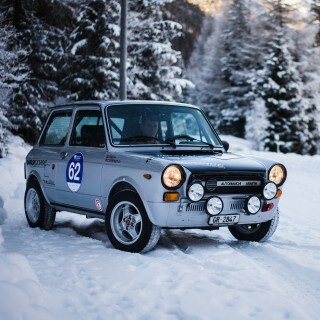 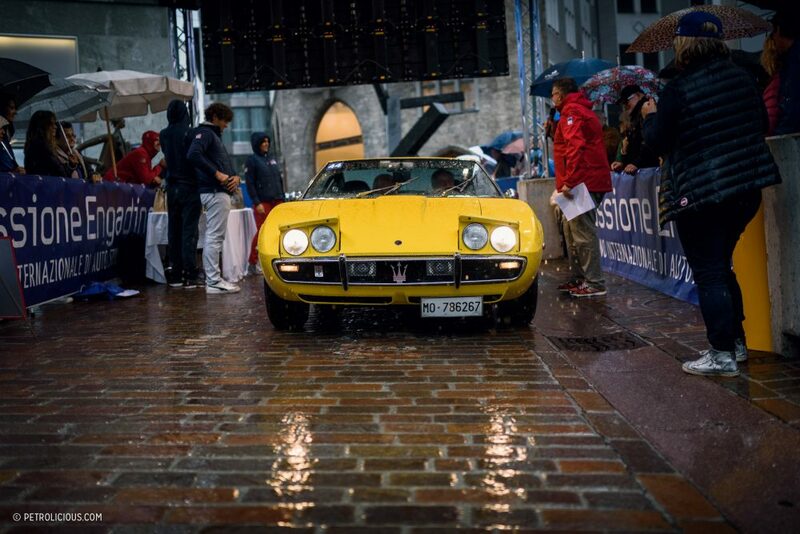 At this elevation, summer is not immune to occasional low temperatures and rain or even spells of snow, and this year’s edition of Passione Engadina was not spared. 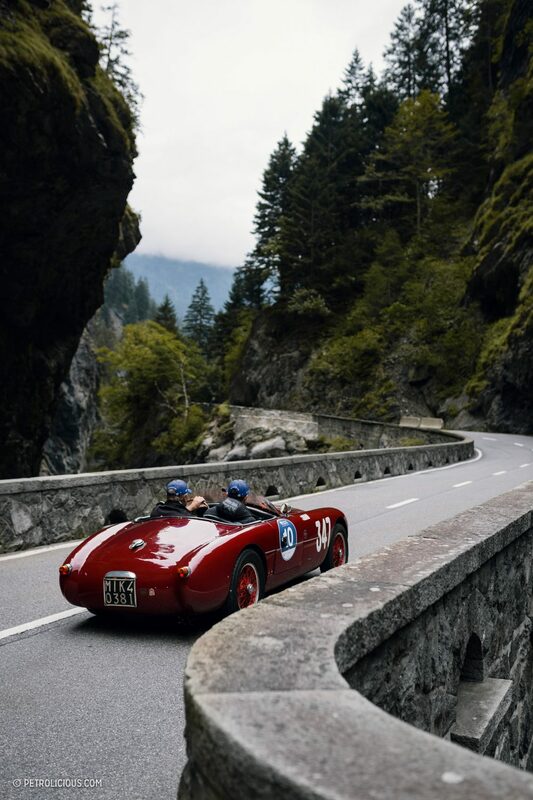 Rain, fog, and cold winds made frequent appearances along the route, increasing the driving challenge, especially for open-top cars. 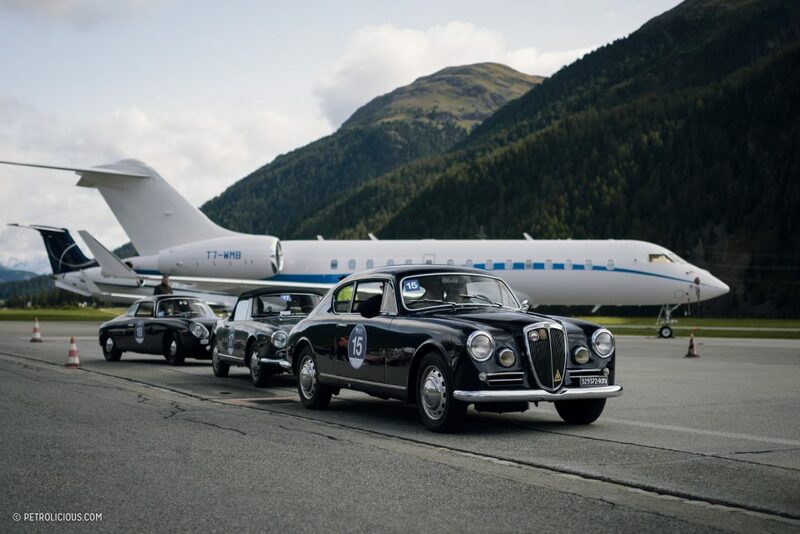 At the end of the day though, everyone was happy to arrive in St.Moritz and change into evening dress to attend the gala dinner, followed by the party with DJ Paolone behind the decks. 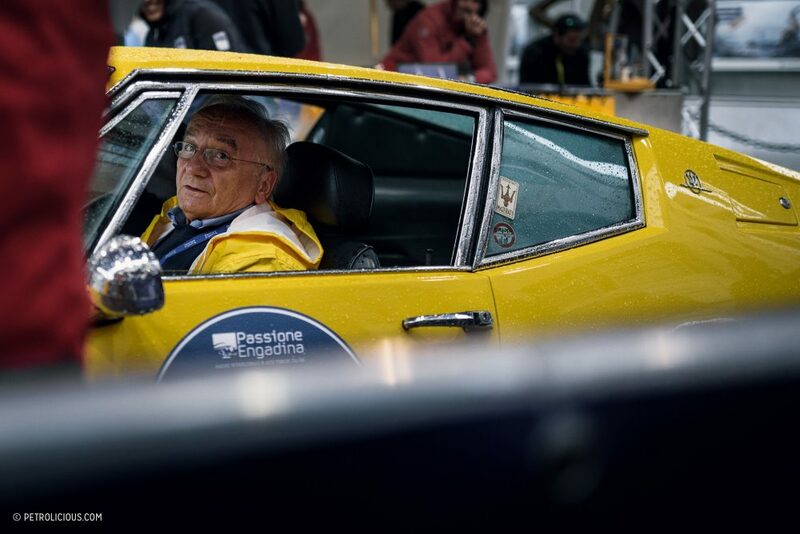 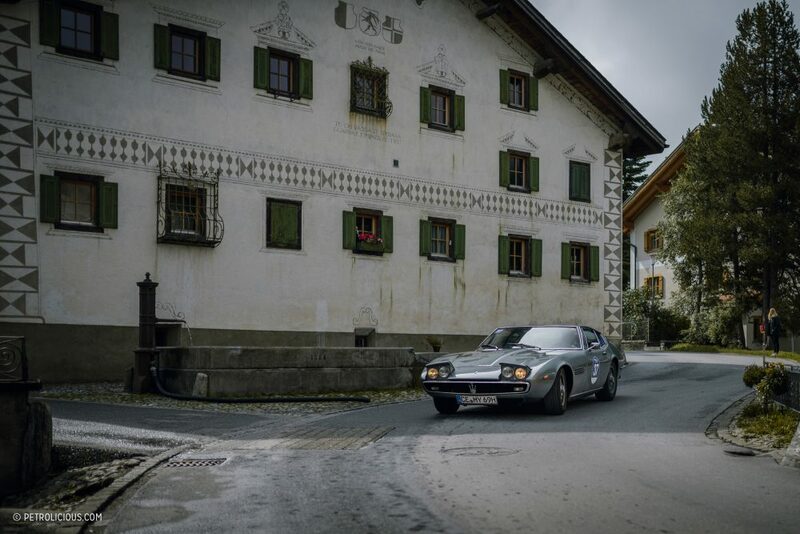 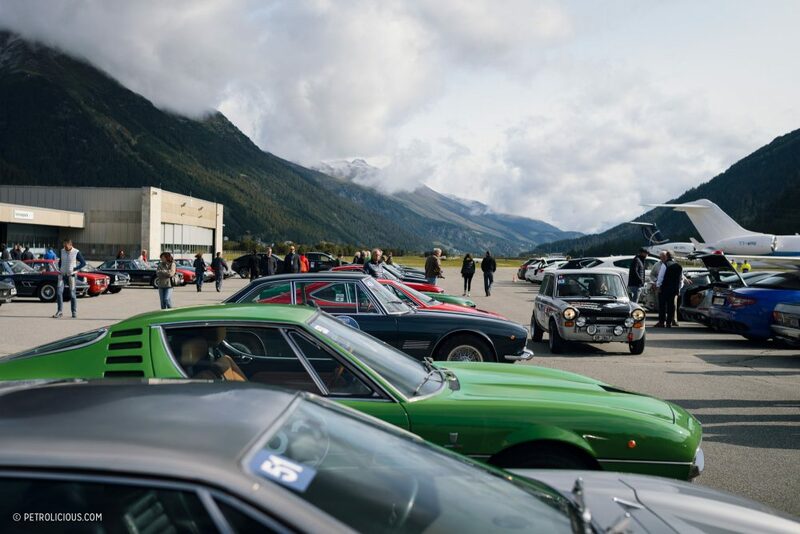 On Sunday, the sun finally decided to stay out for a bit, and the cars gathered at an airport strip for the first stages before continuing to St.Moritz for the final challenges in the town’s center. 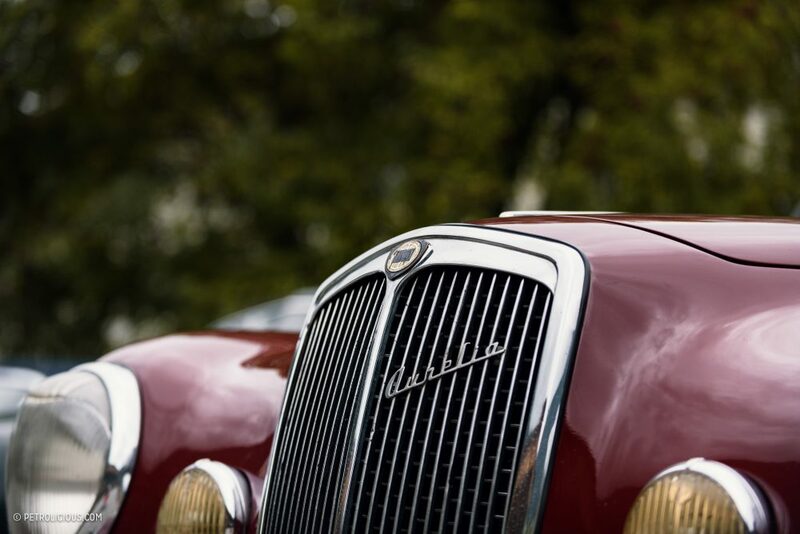 Afterwards, all the cars were displayed in a field for the concours d’elegance, where the winner—a Lancia Aurelia B24 Spider America—was crowned exclusively by the public, not a jury. 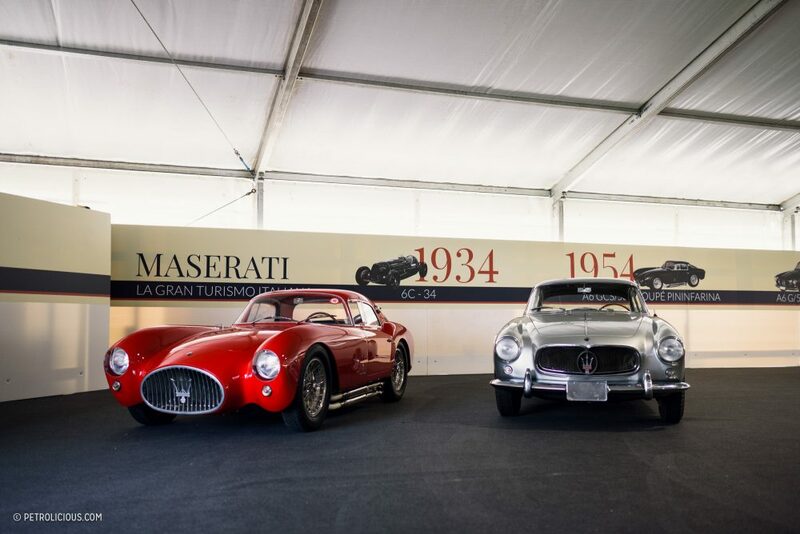 A special mention goes to the extraordinary special exhibition that Paolo Spalluto was able to put in the town centre of St.Moritz in the weeks leading to the main event: milestone cars of Maseratis history were displayed in a big tent, freely accessible to everybody. 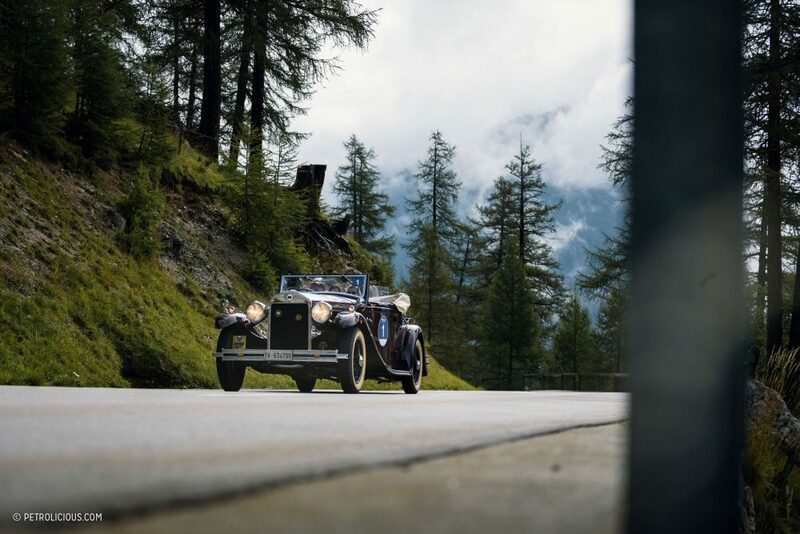 There was a 1934 6C-34, the Eldorado-420M from 1958, a stunning A6GCS Coupe Pininfarina, and sports cars like the Khamsin, Bora, and Mexico, together with the 2005 Birdcage study and the 2004 MC-12 Corsa race car. 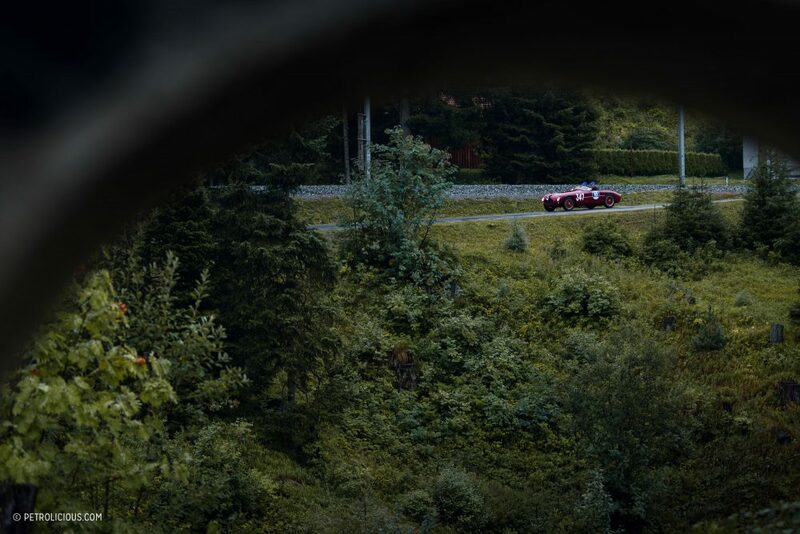 Somewhere between luxurious exclusivity and raw driving fun, Spalluto’s Passione Engadina does everything right: it’s exclusive and full of class, but also friendly and laid-back, it has a competitive spirit without forgetting the fun and entertainment factor. 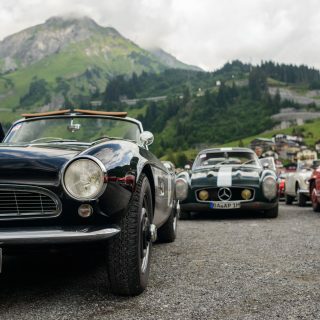 It’s a gathering of friends celebrating the Italian lifestyle with incredible cars, excellent hospitality, culinary delights, and some of the most beautiful roads of the alps combined in a wonderful package by an excellent host. 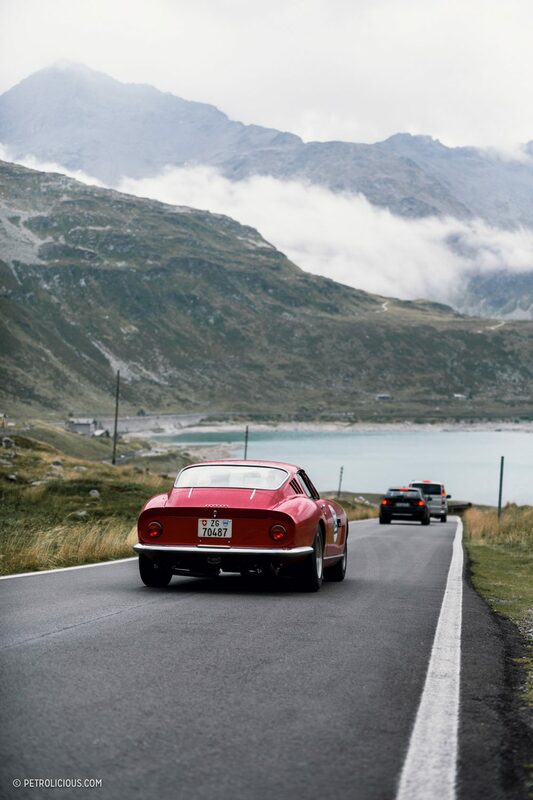 The passion and dedication lived by Spalluto and his team carries on to the participants and make Passione Engadina live up to its name. 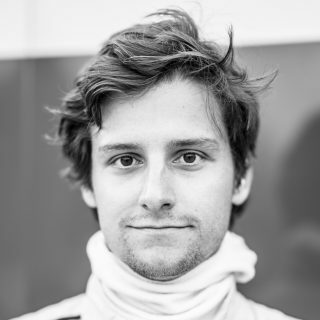 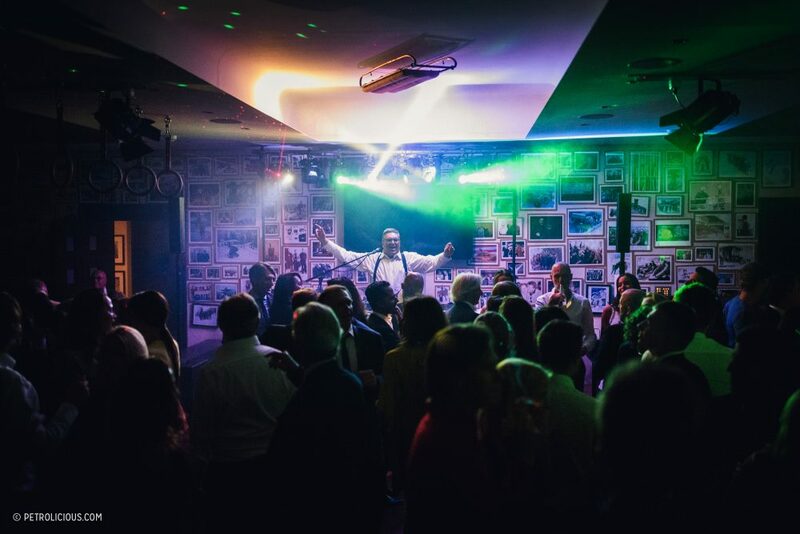 Thank you very much for these photos and nice description of the event. 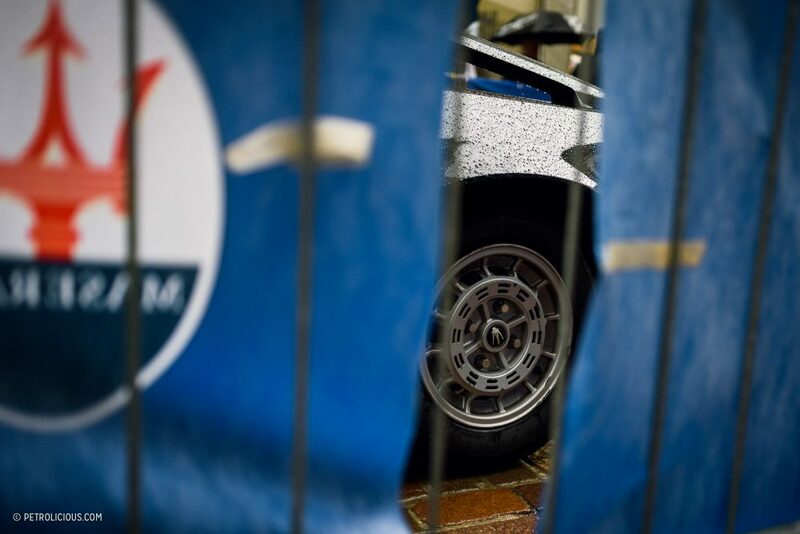 Hope will attend it ever. 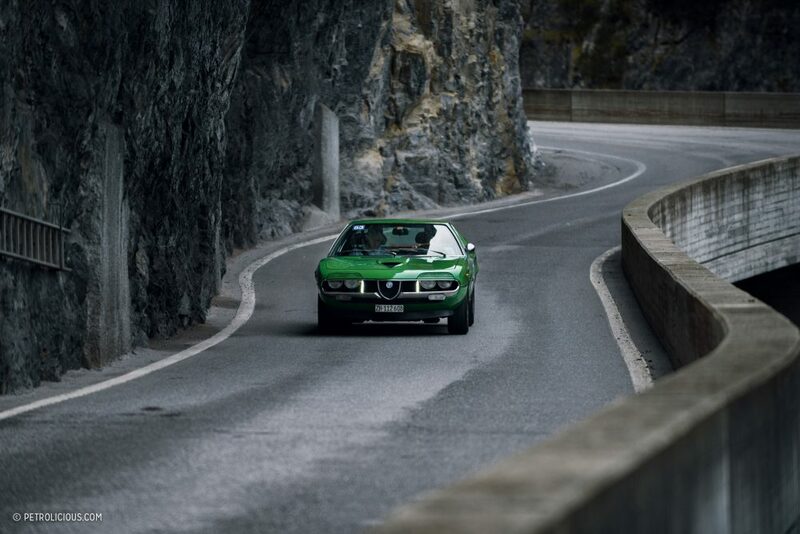 every car is in mint condition!!! 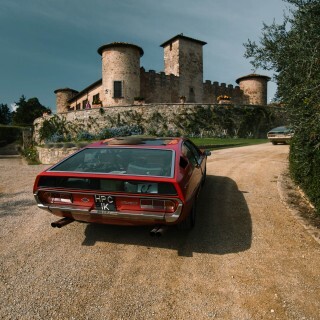 & great photos!!! 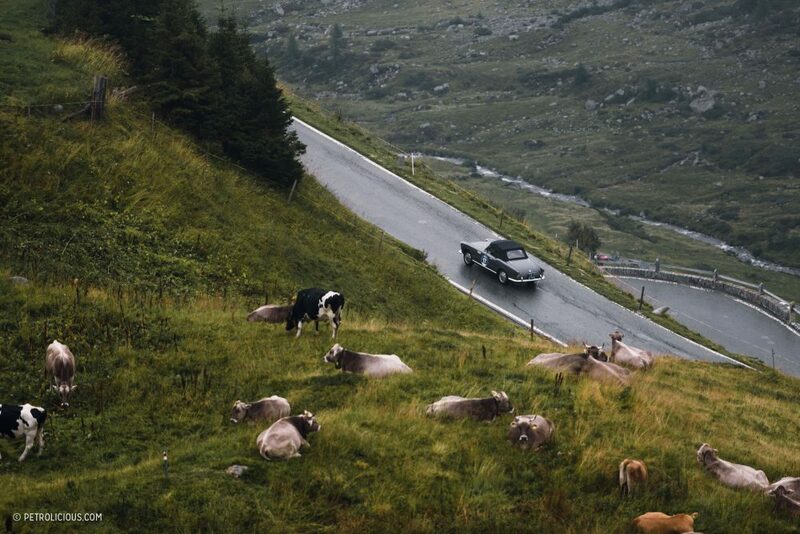 Lovely, very refreshing for the eyes of this New Yorker. 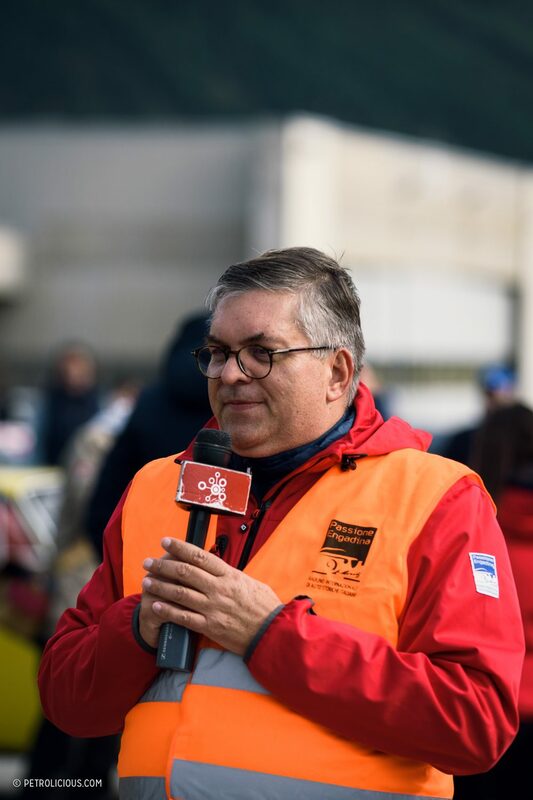 Mille grazie!